Hawk Racing’s integrated BB86/90/92 was designed, machined, anodized, laser engraved and assembled in Florida and replaces the old BB86/92 and BB90 version and makes them into one. This product is made with a sleeve so it can be used with the Shimano Di2 because riders who install products saw the need for a protective sleeve for our previous version of BB86/92 to ensure the cables of the electric shifter do not rub on the crank spindle. 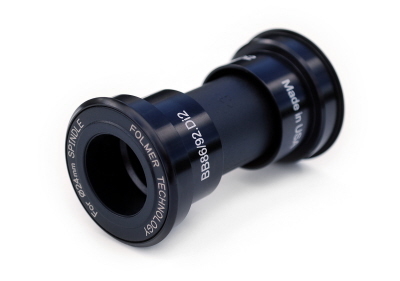 This product can be used as well without Di2 group set. Furthermore, with the SRAM kit you can use it with SRAM cranks and this product is also available with our new CX Seals for better bearing protection by increasing friction only by 0.2 watts.